Welcome to our Texas State approved 100% online defensive driving course. Over 20 years ago a simple notion of making a dry subject of traffic school more interesting gave beginning to what became a revolutionary concept in traffic school education. Since that day over 2 million students have completed our courses in classroom and online. Come and laff’n’Learn with us in classroom or 100% online. 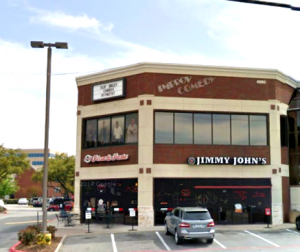 What do Improv Comedy Club and Defensive Driving Have in Common? The world famous Improv Comedy Club offers online driving courses to those who need to remove points from their license and/or brush up on driving laws. Our school will have you laughing and learning in no time and is a far cry from traditional driving school lectures taught by rambling teaches who are just as bored as you are. You can now sign up for one of our entertaining courses online. There are a limited number of openings available, but we are approved by and accept students from all fifty states. Click here to get started on our unique, highly entertaining driving course. Reasons for attending Dallas Improv Defensive Driving School in Dallas, TX?